Unified School District 405 in Lyons, Kansas has chosen to replace its existing meal accounting system with eTrition, a cloud-hosted solution from Harris School Nutrition Solutions. The school district has three cafeterias in its schools with four serving lines. The search for a cloud-based system that is easy for new users to learn, led the district to eTrition. USD 405 is eager to take advantage of the efficiencies of having its data accessible in the cloud, while eliminating the burden of having software uniquely tied to specific computer workstations. 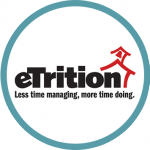 eTrition’s cloud solution means that any workstation may be used, without the need to install software. The district is also excited that it will no longer need to manage backups and server space to maintain its child nutrition system.